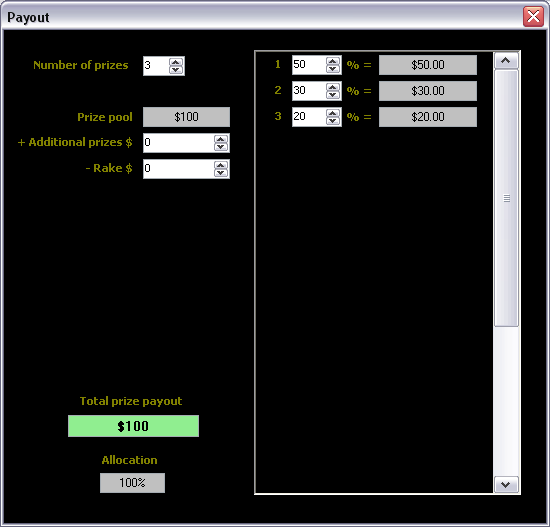 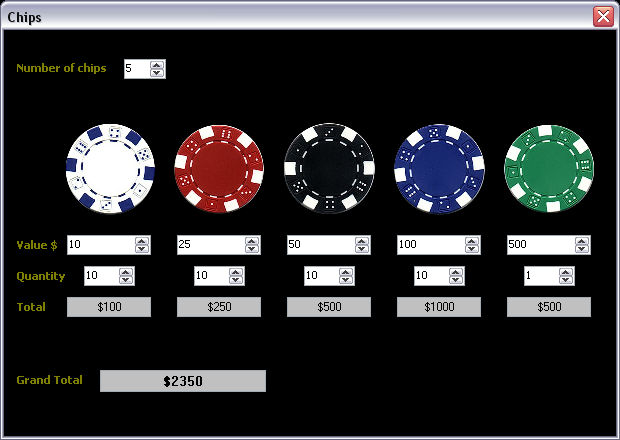 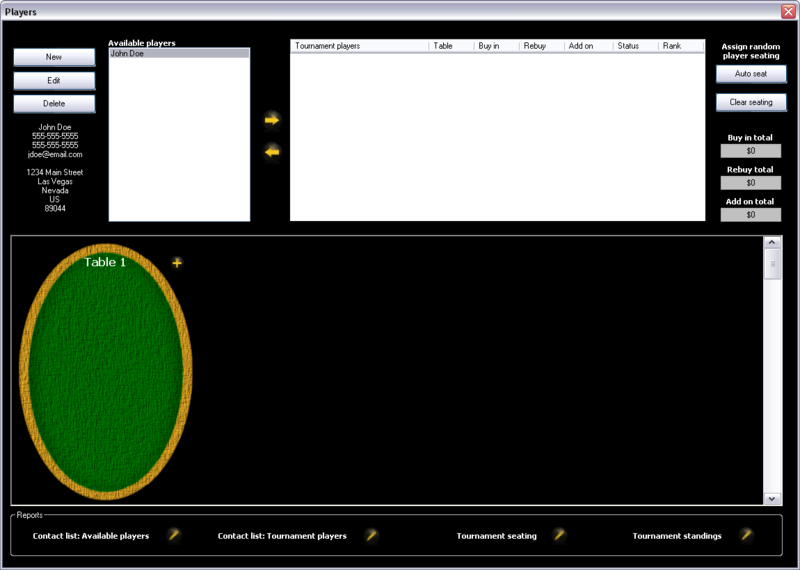 Big Slick Professional is the most sophisticated software on the market today for managing poker tournaments. 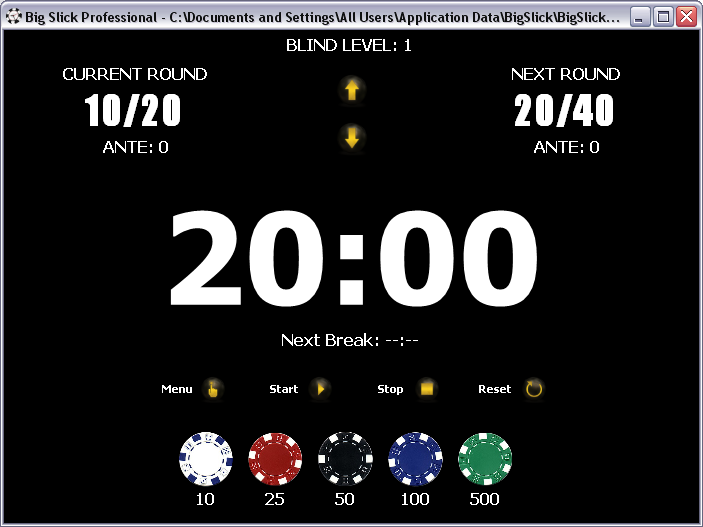 Our timer was designed by players for players with well thought out screens that help you setup, manage and run a poker tournament. 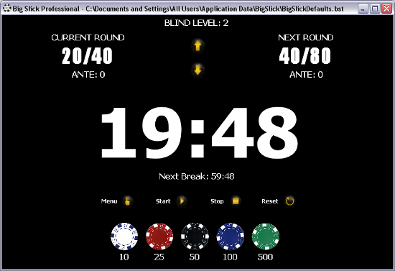 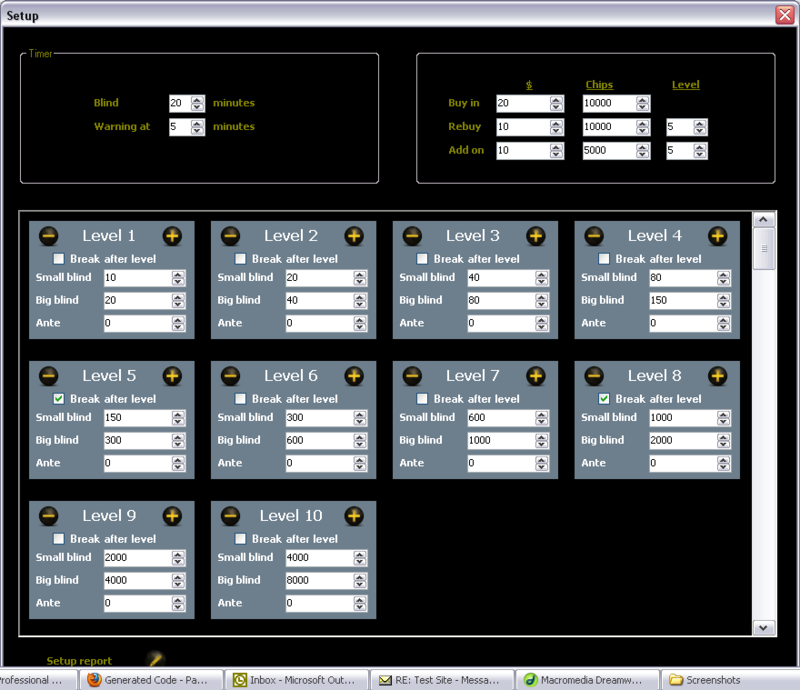 Virtually unlimited blind levels with configurable big blind, small blind, ante and breaks.